Fantastic Beasts: The Crimes of Grindelwald, both movie and book, are released on November 16th. 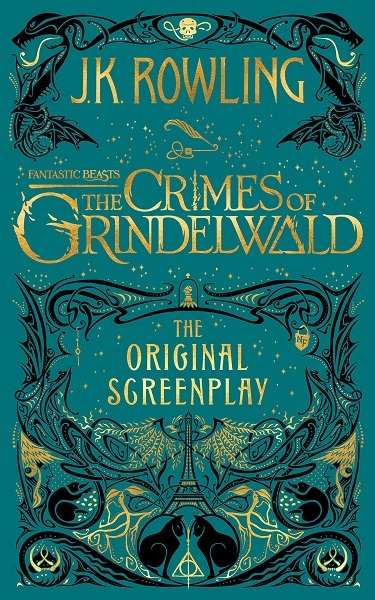 Click to see Pottermore's reveal of the screenplay. I am just so jazzed. Yes, I am jazzed. I'm definitely Camp Scamander and am excited to see what is in the movie and what is in the play. I love reading plays and screenplays (well, of Shakespeare and Rowling anyway) ... and I remember that I had read the screenplay for the first movie before I saw the movie, then watched the movie and missed so many details that I remembered seeing in the screenplay! So I reread the screenplay and the next time I saw the movie, I appreciated the wealth of material, the richness of detail, even more. Spoilers without any spoiler tag will NOT be tolerated, and will be punished severely. This subforum will be monitored heavily, so you've been warned. Please be respectful toward everyone else and don't ruin this for them. Remember, if you want to talk about Harry Potter in a more general sense, please go here -- General Harry Potter. As always, keep your posts HOL appropriate. It's totally not what I expected. There is a richness and fullness of sweep of story which I didn't anticipate at all. Obviously there must be sequels. When is the next movie out. ?! Some of the events, though, totally surprised me. Sure, I'd seen the thing in the little bits, of Nagini, of Dumbledore, of Newt ... but what they DID. Awesome. I am not sure I agree with where the thing of Nagini is going (or where she comes from because of the HP stories) but that's a whole different matter. But .... Queenie. And I remembered that picture shown ages ago, of the cast of this movie, and where Queenie and Jacob are sitting ... and how Queenie is looking straight ahead and then looks at Grindelwald. And ... other things. Another member of the Dumbledore family? What! What? !